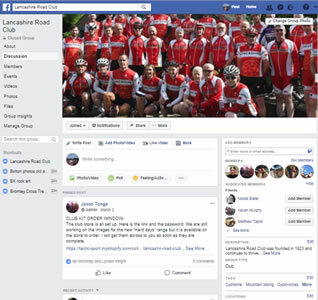 A number of attempts have been made to write the history of the Lancashire Road Club. The first was in 1960 when Frank Cowsill produced “The Little Red Book”, a brief history of the club together with the Club Rules and lists of the winners of the Club Championships to that date. I am indebted to Frank for the production of this book, as it has formed the basis for much of the pre-1959 information used in this publication. In 1967, Club Secretary Malcolm Evans was asking for information and volunteers to bring the record up-to-date but nothing came of his request. The next attempt was made in 1981 when Club President Jack Roughley asked Ian Marshall to ask for a volunteer to undertake the task, but again nobody was willing to do the job. At last, in Circa 1990, a volunteer emerged in the shape of new member Simon Shawcross, who interviewed a number of the older members and was able to insert new material into Frank’s 1959 production. After working on it for some time, Simon produced a document but this didn’t advance much further than Frank’s original record. My thanks go to Simon for the time and effort he put in. In 1996 I was then persuaded (conned?) into trying my hand at doing the job and this book is the result of my labours. I feel a bit of a cheat writing the history of the Lancashire Road Club, as I am a relative newcomer to the club, having only been a member for 25 years, unlike many who can boast membership of 40/50 years. I was able to add more detail to the years 1923–1960 and the ever-reliable Frank Cowsill produced a file containing all the circulars sent to members by Club Secretaries from 1946 to 1986. Jim Hall undertook the mammoth task of photocopying these for me and these documents have become my main source of information. My grateful thanks go to Frank and Jim. From 1986 onwards my own memories, and the club magazine “Spokesman”, have been the main sources of information and I must thank all the contributors to Spokesman for their input. Jack Mullineux, Fred Eldershaw, Jack Roughley, Ian Marshall, Peter Graham, John & Janet Pendlebury, Frank Kerry, Roger Winstanley and Frank Pulman have all contributed with photographs and information, and to all these I convey my thanks. In addition the late Mark Haslam, Cliff Baxter and Frank Cowsill were also wonderful sources of information and photographs. If you have helped, and I have missed you out, my sincere apologies.